MK1 Golf splitters on old skool cars are played out. There, I’ve said it. I have to hold my hands up and say I ripped it off another car back in ’06 but now loads of people are using them. Don’t get me wrong, it looks good, but I though it was time to step it up a gear. Yes and no. This is made from Fibreglass meaning when I have finished cutting it down, I can smooth over the join and paint it body colour. The best part is it is 30mm Deeper! 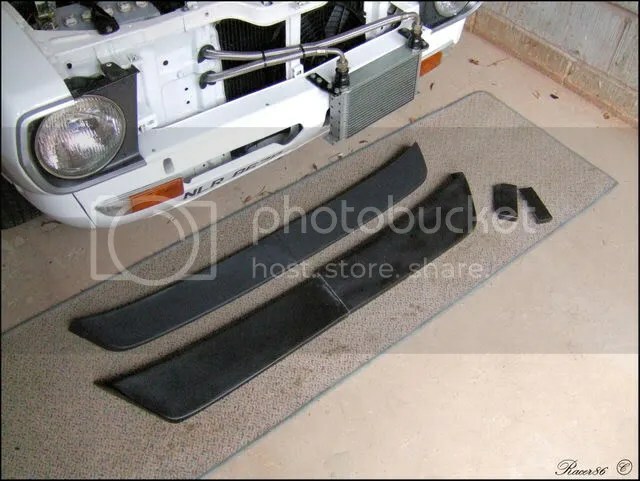 Hopefully when I’m done it will look made for the car and not a like a cut down MK1 splitter. Plus, no one else will have one! Here is it is in front of the old splitter. I have already started cutting it down (bits on the right) and you can clearly see the difference in depth.